Steel City Slackers (in their own words) is a collective of outdoor enthusiasts from varying fields that have been brought together by the common interest of slacklining. The unique combination of passionate members and varying fields of expertise enables Steel City Slackers to empower the Pittsburgh slackline community through coordinated events, access maintenance/advocacy, instructional services, gear recommendations/rigging engineering, and much, much more. It is our hope to facilitate a productive and innovative relationship with the Pittsburgh area as slacklining evolves into an increasingly popular activity. The Mission of the Steel City Slackers is to share their passion for slacklining and leverage their experience to benefit the Pittsburgh outdoors community. They feel the best way to accomplish these goals is by passing along what they have learned during their adventures. Their long-term objectives include establishing slackline locations in Pittsburgh, working with parks and recreation to allow slackline access, and continuing a tradition of community amongst outdoors enthusiasts. 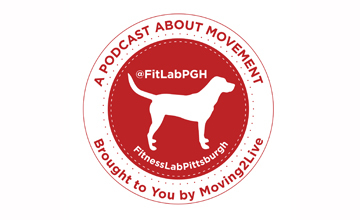 FitLabPGH spoke with Co-Founders Wade Desai and Travis Warner.